Mmmmm. Doh-nuts! 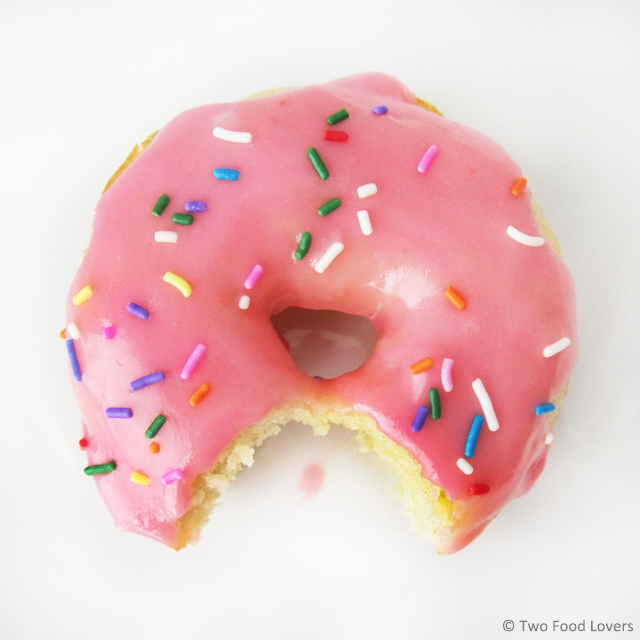 These Homer Simpson Donuts are adorable and delicious! The cakey doughnut is light and fluffy, while the glaze adds extra sweetness. Each bite is full of vanilla flavor. Is it doughnut or donut? Neither! It's doh-nut! Let me start by saying that I have no idea what made me want to make Homer Simpson donuts. I have been craving donuts, I had sprinkles in my cupboard and wanted to make something fun and cute. 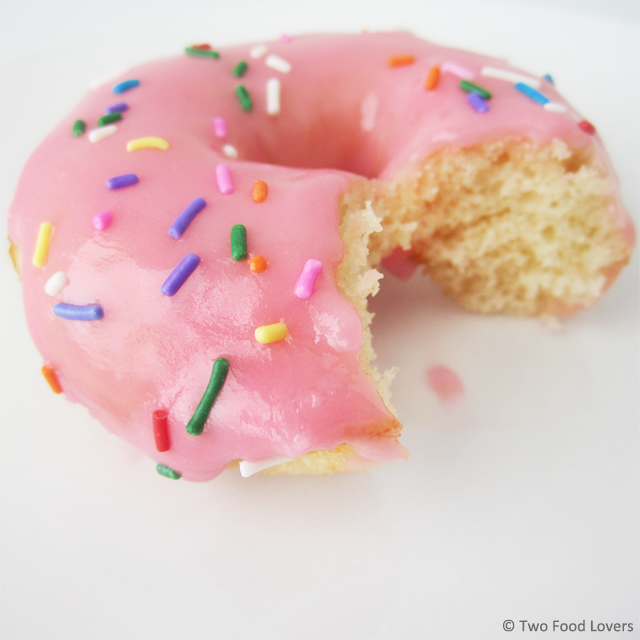 Pink + sprinkles = fun and cute, right? I always want to say "mmmm" the way Homer does when I like something tasty. While I had fun icing and decorating these sweet, vanilla cake donuts, I always enjoy baking more when the goodies are shared with people. I like to spread the love. I had Dave take these donuts to his coworkers and they were a huge hit! My favorite part about this recipe is that the donut is not heavy. It is light and airy in texture. Almond extract is the secret ingredient (not so secret) to achieving the perfect sweetness. You don't taste it, as the doughnut will taste like a vanilla cake doughnut. Each sweet bite makes your taste buds smile, but doesn't leave you with the sugar headache that seemingly always follows after eating a donut. Plus, these are baked and the icing has strawberry flavoring, so that means they are healthy. Just tell your nagging conscious to shush. Ok, let's get down to this EASY donut recipe. I used this Wilton Nonstick 6-Cavity Donut Pan , and truly love it. No sticking, easy to clean, even baking. Good ol' Amazon purchase. P.S. I have a wish list on Amazon specifically for the baking and cooking items I want to add to my collection. I have a problem, I know. Step 2: Sift together flour, baking powder and salt in a small bowl. Reserve for next step. Step 3: In a separate, medium bowl, whisk together egg and sugar; add in milk, oil and extracts. Stir to combine wet ingredient, then gently stir in the flour mixture until thoroughly combined. 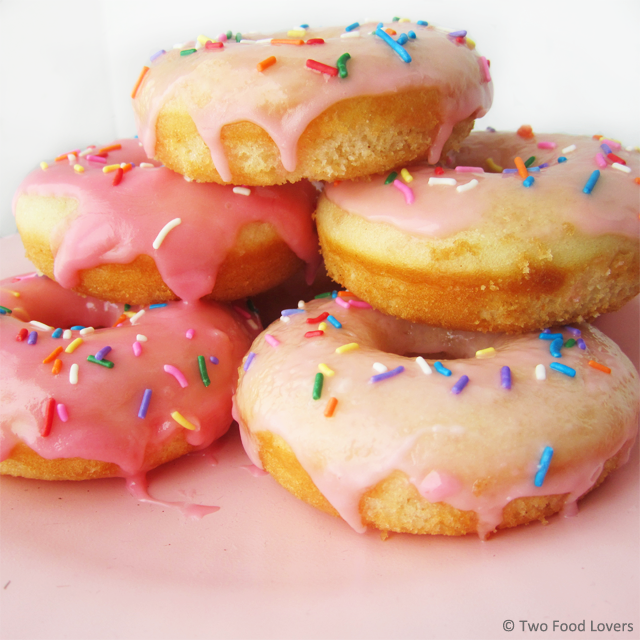 Over-mixing will result in a tough or dry doughnut. Try to stir until you see no lumps or dry streaks. Step 4: Transfer the batter into a quart or gallon size Ziploc bag, or you can use a pastry bag and attachment, work the batter to one side and corner of the bag, snip the corner with scissors and pipe the batter into each cavity of the pan. 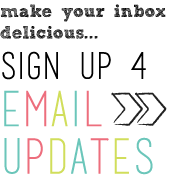 BE SURE to only fill the indention ½ to ¾ full. 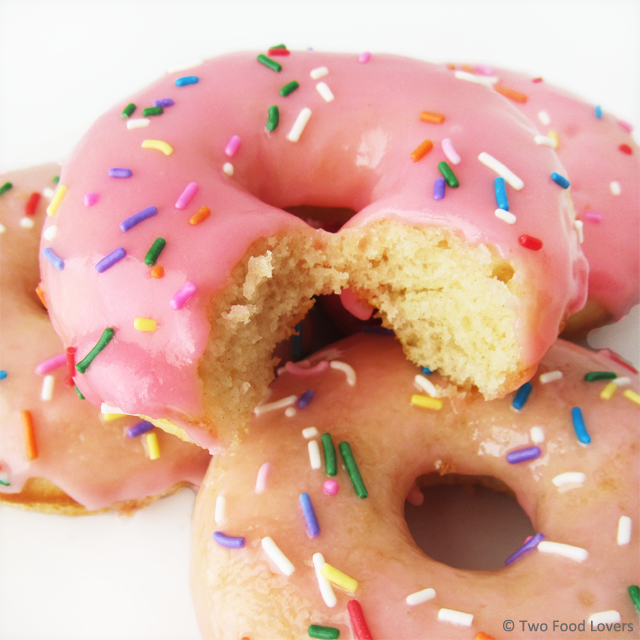 Overfilling will cause a not-so-pretty doughnut, like the one around Homer’s waist. Bake for 8-10 minutes, or until the tops of the donuts spring back when you lightly press them. Step 5: Cool the pan on a wire rack for 5-10 minutes. Flip the pan over and give a light shake or tap to release the donuts. Transfer each to a wire cooling rack to cool completely. Cooling is key to ensuring your icing does not run off. Meanwhile, whisk together icing ingredients in a shallow bowl. Once cool, dip the top each donut in the icing and place back onto a wire cooling rack (place wax paper beneath the rack for easier cleanup), lightly sprinkle with rainbow sprinkles (a.k.a. jimmies) and allow to set up.